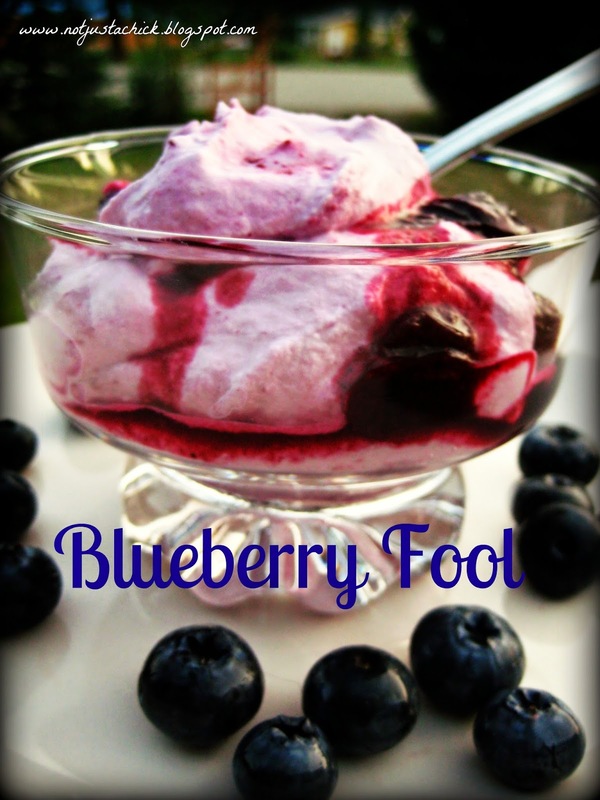 Not Just A Chick: Blueberry Fool.... Blueberry Month!! Blueberries. MMMMMMM blueberries! Known as one of Nature's "superfruits", high in antioxidents, and simply delicious... I just couldn't help but jump onto the Blueberry Band Wagon, especially, as British Columbia produces some of the best berries around. (That and I'm lucky enough to know of, and have access too, a wicked supply of these superfruits.) With the first pick going on now, and several gallons of blueberries to play with, I'm going to be a busy chick! I declare and dedicate the next couple of weeks solely to Blueberries! YUM YUM!! What better way to kick off this mini-event with a simple, quick and easy... delicate but decadent dessert: Blueberry Fool. After a hot afternoon's quick picking, and with a trip planned up to the lake for the weekend, I wanted to "whip up" a quick recipe that showcases the natural sweetness of the berries. Hot days - for us - typically means lighter dinners, and if any.. lighter desserts. 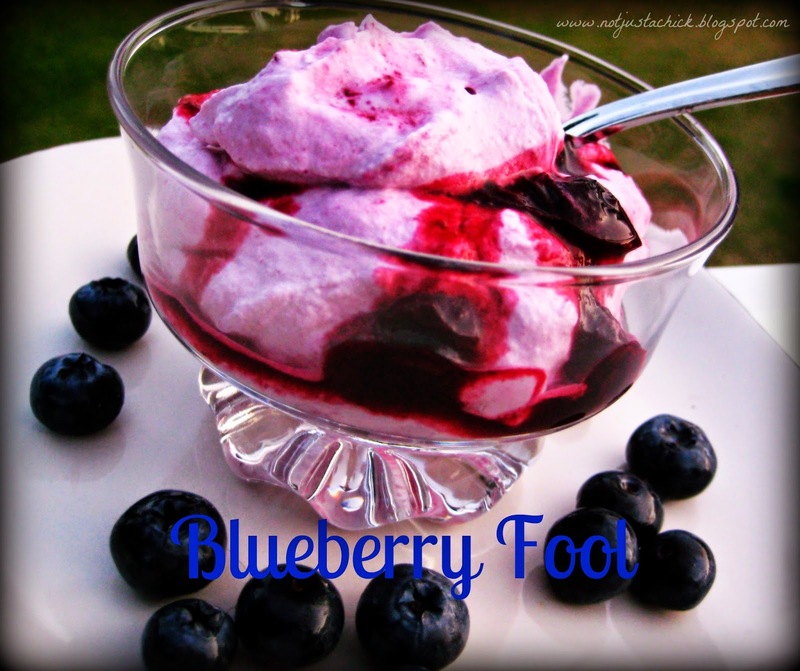 Blueberry Fool is perfect for this! Eat alone - or - top a yummy blueberry pie with it. IF there's any leftovers, it makes a perfect topping for a soft and fluffy pancake in the morning. mmmmblueberry pancakes! - Keep stirring until the juices begin to boil and the sauce begins to thicken. Approx 5-8 mins. - Remove from heat, and transfer to a small bowl. Place in fridge, stir occasionally until cold. - Serve in dessert cups, spooning extra sauce over top! Stay tuned for the next BLUEBERRY Posting! In the meantime... here's one of my most popular posts to date... of course... starring the superfruits.... No-Pectin Added Blueberry Jam .